Mitchell Lipton is a managing principal in Mohr Partners’ Detroit, Michigan office, bringing over 26 years of commercial real estate experience. 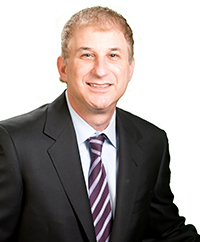 Mr. Lipton has extensive expertise in tenant representation, representing primarily fortune 2000 to mid-cap clients in their financial analysis, strategic facility planning, headquarters negotiations, portfolio management, build to suits, sale-leasebacks, acquisitions and dispositions among numerous other things. Mitchell formed the Mohr Partners Michigan office. He directs the efforts of a team that manages hundreds of transactions per year. Previously Mitchell served as a principal in Newmark Knight Frank’s Detroit office and executive vice president and managing partner with Freidman Real Estate Group. Mitchell and his team focus on maximizing shareholder value for their clients using their expertise in strategic portfolio management and financial analytics such as underlying debt service, landlord yield analysis, and EBITDA metrics. Long-term strategic planning and proactive management of his client portfolios through portfolio optimization, benchmarking, debt to equity structures, and numerous metrics, produce an ongoing platform that ensures his clients will consistently maximize the performance of their real estate portfolio. Mr. Lipton is a Southeastern Michigan native and resides in the Metro Detroit area with his wife and two sons. He sits on the Board of Directors of Jack’s Place for Autism, a 501c3 nonprofit organization formed to help families affected by Autistic Spectrum Disorder and commits time to the Cornerstone Private School Program in Urban Detroit.